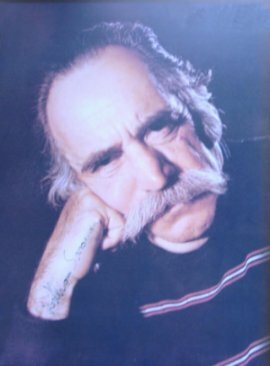 1908 August 31: William Saroyan is born in Fresno, California, to Armenak and Takoohi Saroyan. 1911 Armenak dies in Campbell, California. William, his brother, Henry; and his sisters, Zabel and Cosette, are place in the Fred Finch Home, a Methodist orphanage in Oakland. Takoohi goes to work as a domestic servant. 1916 Takoohi and her children are reunited in Fresno, living in the heart of the city’s ‘Armenian Town. She works in fruit packinghouses, her sons as newspaper boys and, later, telegraph messengers. 1925 After repeated disciplinary expulsions, William leaves Fresno Technical high school without a diploma, and works in the vineyards and in his uncle, Aram Saroyan’s law office. 1926 William leaves Fresno for Los Angeles, a brief stint in the California National Guard, and, after a short reconciliation with his family, goes to San Francisco, where he works as a clerk-typist with the Southern Pacific Company. Finally, he works as a messenger, then manager, for the Postal Telegraph, the company he worked for in Fresno with his brother. 1927 Henry brings Takoohi, Zabel, and Cosette to live in San Francisco. 1928 Overland Monthly buys William’s first published sketch. In August, with money borrowed from his uncle Mihran, he leaves at age 19 to seek his fortune in New York. 1929 Disheartened and homesick, William returns to San Francisco and his family. He begins a series of low-paying, short-lived jobs while haunting the public library and put in long hours at his typewriter. 1932 The Armenian journal Hairenik (’Fatherland’) in Boston accepts poems from William. 1933 Hairenik publishes his poetry, his first stories (’A Fist Fight for Armenia,’ ‘The Broken Wheel’) , and a sketch of Grandmother Lucy,Noneh. In October, William translates his sketch for a novel, Trapeze Over the Universe, into the short-story masterpiece ‘The Daring Young Man on the Flying Trapeze.’ William first ventures into Los Angeles and San Francisco literary society. 1934 Story publishes ‘The Daring Young Man . . .’ and ‘70,000 Assyrians,’ and other magazines quickly begin to buy his backlog and fresh output. ‘The Broken Wheel’ is collected in O’Brien’s short-story annual. William’s triumphant debut collection, The Daring Young Man on the Flying Trapeze, appears in October, published by Random House, and is an immediate critical and commercial success. 1935 William journeys to New York and on to London, Paris, Scandinavia, Moscow, and Yerevan. Back home, he visits Mexico City by train. William sustains an emergency appendectomy. 1936 William’s second collection, Inhale and Exhale, appears from Random House, but not in the form he wished, and he breaks with his editor and publisher. His next collection, Three Times Three, appears that year from the Conference Press, the brainchild of three Los Angeles college students. William works as a salaried Hollywood writer, first for B. P. Schulberg and then at Columbia Pictures. 1937 Little Children, his next story collection, appears from Harcourt, Brace. 1938 Love, Here Is My Hat appears as an experimental quality paperback, the price is 25 cents, from Modern Age Books and, in the fall, The Trouble with Tigers, a hardbound collection, from Harcourt, Brace. 1939 April: My Heart’s in the Highlands opens as a Group Theatre workshop production and receives enthusiastic reviews and an extended run. William writes The Time of Your Life in a six-day stint, joins its rescue in Boston from a disastrous New Haven tryout, and sees it open to triumphant notices in October. A summer trip takes him to Europe, including Ireland. He aborts a musical revue collaboration with Vincente Minnelli. 1940 Love’s Old Sweet Song opens on Broadway in April to mixed notices, but in the same week Saroyan receives both the New York Critics Circle Award and the Pulitzer Prize for The Time of Your Life. But three new plays, Sweeney in the Trees, Something About a Soldier, and The Hero of the World, all fare poorly in summer tryouts. My Name is Aram, a suite of short stories lightly fictionalizing his boyhood, is published in December to enthusiastic reviews. 1941 A new play, Across the Board to Tomorrow, fails in tryout at the Pasadena Playhouse. In April, William produces and directs The Beautiful People to generally warm reviews. That fall, after severe gambling losses, Saroyan agrees to prepare a screenplay for M-G-M studios. 1943 In February, William marries Carol Marcus; The Human Comedy, his M-G-M screenplay is novelized and published to rave reviews. His Army duty in New York, leads to a psychiatric observation. On September 25, son, Aram is born. In November, Get Away, Old Man, a play satirizing Hollywood, fails on Broadway. 1944 In February, Saroyan ships out for Army duty in Europe. In London, he circulates in literary society, and simultaneously writes the propaganda novel, The Adventures of Wesley Jackson, and a journal of its composition,The Adventures of William Saroyan. Dear Baby, a book of stories is published by Harcourt, Brace. 1945 Saroyan is hospitalized in Luxembourg, returned to the United States, and released from the Army in September. 1946 Daughter, Lucy is born on January 17, in San Francisco. The Adventures of Wesley Jackson is published to reviews challenging his patriotism. 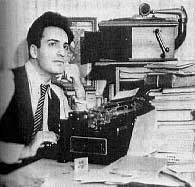 1947 In residence at Millneck, Long Island, for the first half of the year, Saroyan is writing with great difficulty. The allegorical play, Sam Ego’s House, receives a Los Angeles showcase production. 1948 The Time of Your Life, the film, opens to a financial failure. The Saroyan Special, an anthology with no new work, is published by Harcourt, Brace. Heavy gambling losses and Carol’s attempt to divorce him occur, after his impulsive decision, which is soon abandoned, to move the family to a farm near Fresno. In September, he moves with his family to New York City. 1949 In April, Saroyan breaks Carol and goes to Europe, returning in September and spending six weeks in Nevada to secure a divorce, suffering $50,000 in gambling losses. 1950 The Assyrians and Other Stories is published by Harcourt, Brace and hailed by critics as a return to form. Saroyan begins writing on assignment for slick magazines, negotiating with Hollywood. He writes Tracy’s Tiger and Rock Wagram in a month-long burst of work at midsummer. 1951 Saroyan campaigns for Carol to remarry him, which she does on April 2. William and his family return to Los Angeles. Tracy’s Tiger and Rock Wagram are published. ‘Come On-a My House,’ a song whose lyrics he co-authored with his cousin, Ross Bagdasarian, tops the Hit Parade. In October, carol brings divorce proceedings against him. 1952 The divorce is granted. Carol and the children are installed in a house in Pacific Palisades and Saroyan buys himself a house on pilings at Malibu. The Bicycle Rider in Beverly Hills, in which he first reveals his orphanage years, is published by Scribner’s. 1953 The Laughing Matter, a bitter melodramatization of his marriage is published by Doubleday. 1954 A Lost Child’s Fireflies, a play written in 1950, is given a summer production in Dallas with an all-black cast. 1955 ‘A Few Adventures in the California Boyhood of William Saroyan’ is broadcast on the Omnibus series with child actor Sal Mineo as Saroyan. 1956 Mama, I Love You is published by Little, Brown. 1957 Papa, You’re Crazy is published by Little, Brown. The Cave Dwellers, his first New York play production since 1943, opens. 1958 Saroyan leaves his Malibu home for a trip around the world, working on a memoir, unpublished in its original form, entitled Fifty-Fifty. 1959 Saroyan leaves America for Europe, styling himself as a tax exile. An abortive movie project in Yugoslavia is followed by a script for Darryl Zanuck that becomes a successful stage play in Vienna. The London Comedy is produced in London, and he collaborates with Henry Cecil on a second stage comedy, Settled Out of Court, is also produced in London. 1961 Saroyan teaches at Purdue University in Indiana, where students produce his didactic comedy; set there,High Time Along the Wabash. Saroyan buys an apartment in Paris, France. 1962 His autobiography, Here Comes There Goes You Know Who, is published by Simon & Schuster. The half-hour teleplay, ‘The Unstoppable Gray Fox,’ is broadcast on The General Electric Theater. 1963 Saroyan publishes Boys and Girls Together (Harcourt, Brace & World), and lives in a Third Avenue, New York penthouse. 1964 One Day in the Afternoon of the World is published by Harcourt, Brace & World. 1966 Saroyan publishes the memoir Short Drive, Sweet Chariot (Phaedra) And forms the William Saroyan Foundation. 1968 Saroyan publishes a collection of occasional pieces, I Used to Believe I Had Forever, Now I’m Not So Sure (Cowles) . 1971 Saroyan publishes Don’t Go, But If You Must, Say Hello to Everybody (Letters from 74 rue Taitbout in U.S.), Cassell, London, and New American Library, New York. 1972 Saroyan publishes Places Where I’ve Done Time, Praeger. 1973 Saroyan publishes Days of Life and Death and Escape to the Moon, Dial. 1976 Saroyan publishes Sons Come and Go, Mothers Hang in Forever, McGraw-Hill. 1978 Saroyan publishes Chance Meetings, Norton. 1979 Saroyan publishes Obituaries, Creative Arts. 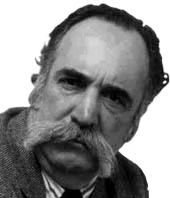 1981 William Saroyan dies of cancer in the Veteran’s Hospital in Fresno, on May 18. By his request, half of his ashes are interned in Fresno, the other half in Armenia. Chronology information from: Saroyan, A Biography by Lawrence Lee & Barry Gifford, published by Harper & Row, New York, 1984. Armenak, Takoohi and William, 1909. William, Aram and Lucy Saroyan.